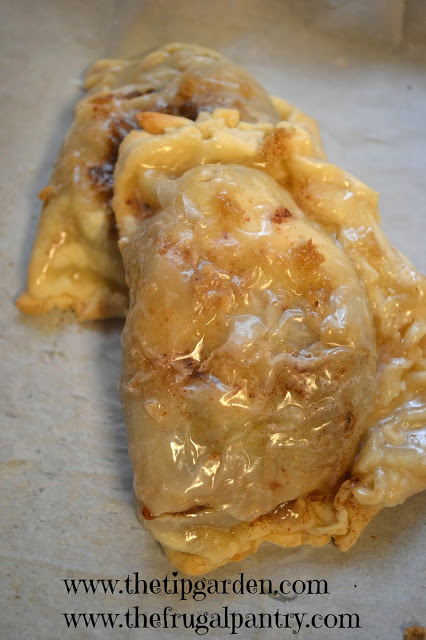 These Apple Hand Pies (A.K.A. 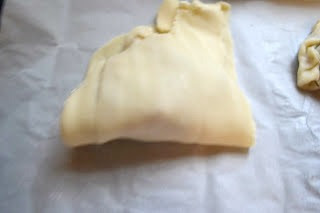 Turnovers) are easy to make and will bring all the wonderful flavors of fall right into your hands. I made these semi easy by using store bought pie crusts, but you can make your own. 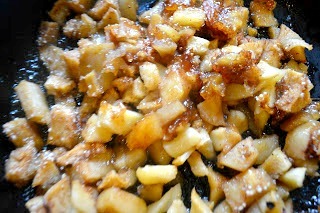 You can also use a can of store bought pie filling,but I have apples to use up so I made a quick pie filling by hand. 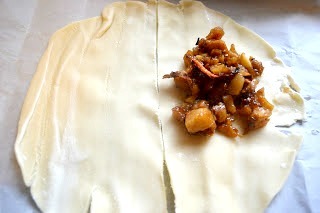 Jan's Tip: My homemade pie filling here, is not my traditional making a full apple pie recipe. 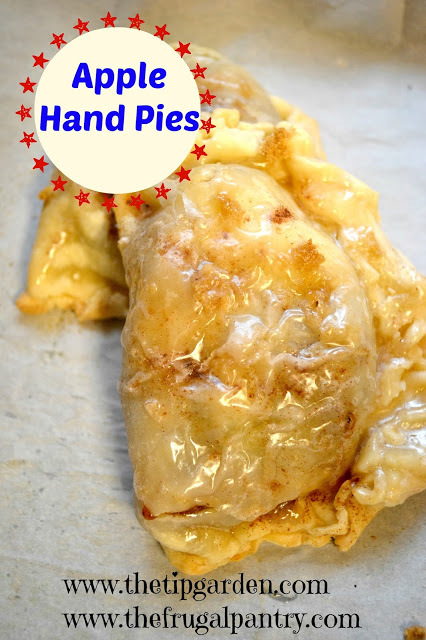 Today's version is my favorite for hand pies, it doesn't end up with too much liquid/pie filling goo, just enough so it doesn't squirt out all over your hands while you eat it. Toss all ingredients to mix and pour into oven proof skillet. 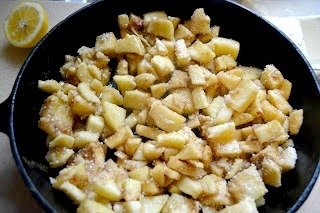 Bake 350 degrees for 30 minutes till apples are tender and juice is set into a sauce. Top each half with approximately 1/2 cup of pie filling, near the top of each half circle. Fold up the bottom of each half over the top of the pie filling. Pinch the edges together to seal the pie. Bake pies for approx. 15 minutes till crust is baked through ,but not turning brown yet. While pies are baking mix together glaze of powdered sugar and milk (or water) in small bowl and set aside till pies are done. When pies are removed from oven, drizzle or brush glaze over the hot pies.